Highlights of 2017 in pictures. 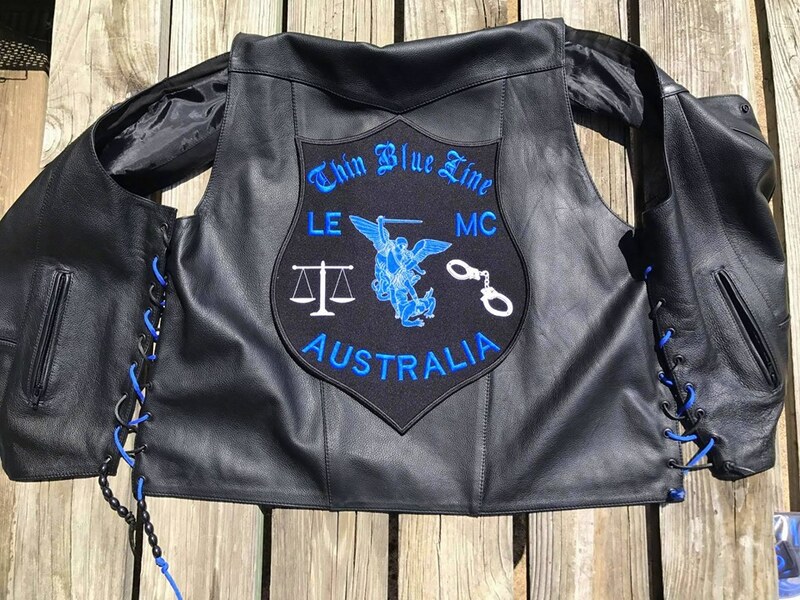 Thin Blue Line LE MC is now International. We welcome Australia to the Thin Blue Line Nation! We also want to welcome our first Illinois Chapter - in Chicago - remember, there is no noise in Illinois! On July 12, 2017, vigil was held for fallen Officer Marco Zarate. 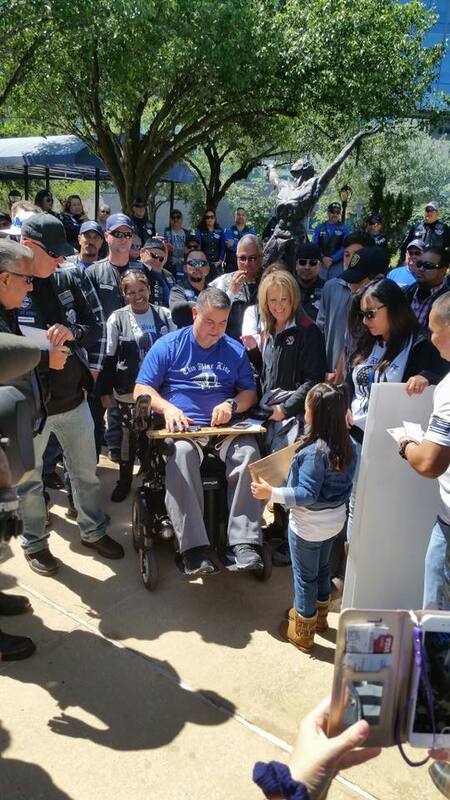 Officer Zarate, "Tapout" was a member of Thin Blue Line LE MC, and a motor officer with the Police Department. Fellow members from TBL showed their support for the family and community. 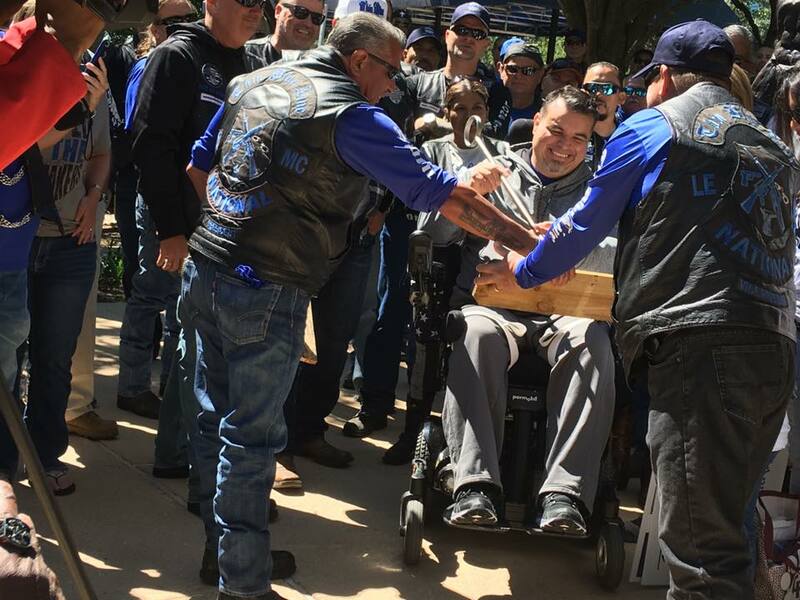 "When an officer dies in the line of duty protecting the people that they serve, it's a very solemn event," Rico Garcia, the national president of Thin Blue Line Law Enforcement Motorcycle Club, said. Click on the title above to see news story on KHOU, Channel 2 Houston. In June 2017, members of Thin Blue Line Law Enforcement Motorcycle Club went to Costa Rica to visit some law enforcement personnel interested in starting a chapter. We welcome all law enforcement personnel who ride motorcycles to inquire about interest in a chapter in your area. On April 23, 2017, Thin Blue Line LE MC presented both Officer Ronny Cortez and Officer Jose Munoz a check for $43,798.72 to assist them and their families with their needs after being shot in the line of duty. 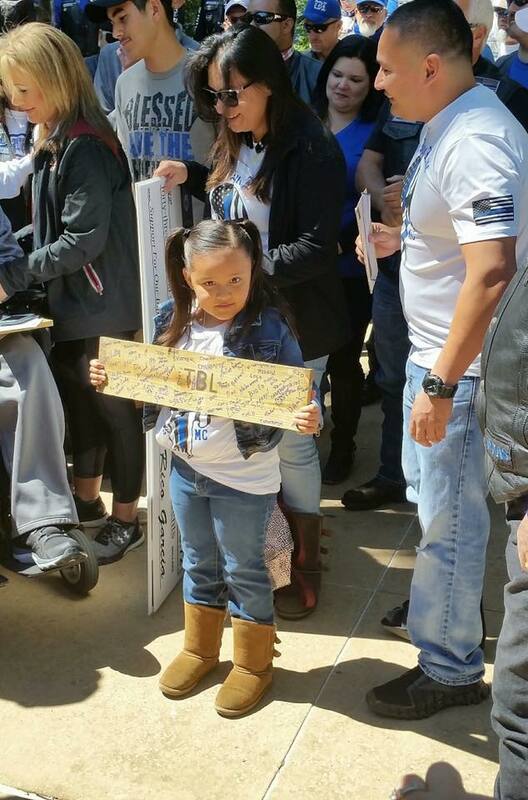 Each officer also branded a wooden board with “TBL” and signed by all members present. Thin Blue Line LE MC is thankful for everyone in the community who helped to make this happen. Click the title above to see Thin Blue Line LE MC National Vice President Fornos sharing information on benefit for two Houston Police Officers who were shot on February 28, 2017. 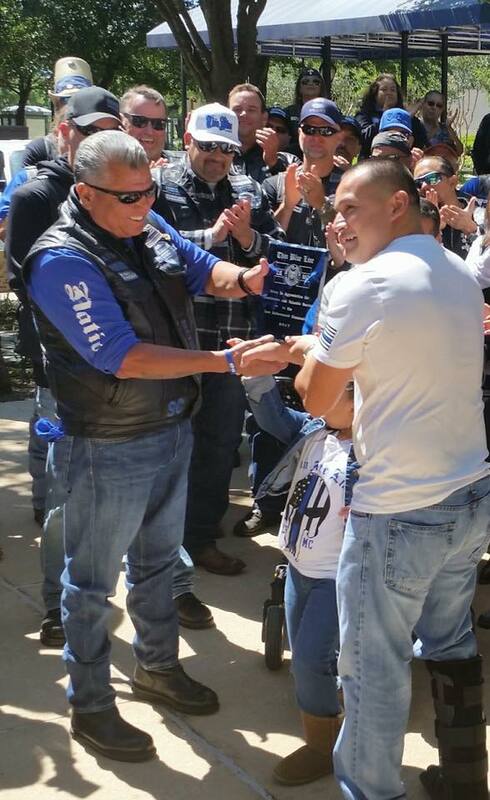 Thin Blue Line Nation collected donations from various TBL Chapters, along with personal donations from many members. Saturday, February 11, 2017, we had the privilege of presenting a check to the family, as well as meet Nick Tullier. He has come a long way, and has a long road to travel. He and his family are in our prayers.